This was another exciting and rewarding year for Parkin. We continued to work on a series of innovative design projects for many of the leading healthcare, educational, recreation, justice, and research institutions across Canada. We would not be the award-winning firm we are today without the hard work and dedication of our partners, team members and employees. Thank you all for your incredible contributions. Together, we will continue to provide truly worthwhile services to our clients in the year ahead. Our work on the Centre for Cold Regions and Water Science project at Laurier University was published in the American School & University Magazine and received the award for Outstanding Designs – Specialized Facility. This award was granted for our work in joint venture with architectsTillmann Ruth Robinson on the Southwest Centre for Forensic Mental Health Care and Parkwood Institute Mental Health Care buildings. In joint venture with architects Tillmann Ruth Robinson, our work on the Forensic Mental Health Care and Parkwood Institute Mental Health Care buildings was featured on the front cover of the magazine. The Parkwood Institute Mental Health Care, London, achieved LEED Gold certification. Read more about the Parkwood Institute Mental Health Care project. Robert Boraks, a Parkin Principal/Shareholder was published by The American Institute of Architecture’s Academy of Architecture for Justice. Read the full article. Construction of the high school made good progress this summer. The school is being built in two phases with remaining exterior work to be completed in the spring of 2016. Here is another update from Repulse Bay. October saw the groundbreaking and construction start on the new $65 million Halton Police Headquarters in Oakville. Completion is expected in the fall of 2017. 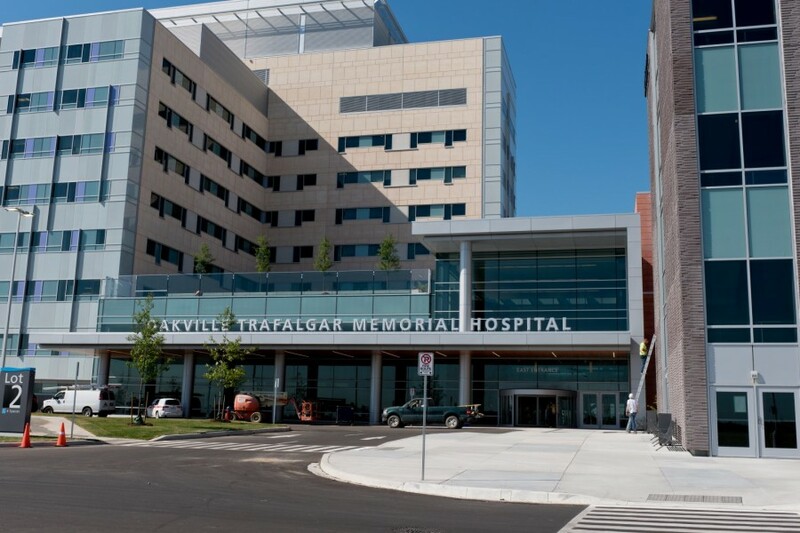 We are pleased to be a member of the team awarded the “CARE” Research Evaluation Project at Providence Care Hospital in Kingston, Ontario, for which we are architect of record. Construction is under way. As of December 1st, approximately 75% of the exterior envelope was complete. Oakville Trafalgar Memorial Hospital officially opened its doors on December 13th, 2015. The 1.6 million square foot hospital was designed to meet LEED silver standards. Read about the design highlights. We are pleased to announce we have been awarded the 27,000 sq.ft. Centretown Community Health Centre (CCHC) major renovation project in Ottawa. Parkin Words of Wisdom Harvested from Experience! Thank you once again to everyone who has been a part of our 2015 success. We wish you all the best in the year ahead.